The answer, much like a Facebook relationship status, is “its complicated”. In fact anti-oxidants can have a wide range of effects on cells, including mitosis. Many “dietary antioxidants Resveratrol and Fisetin (found in red wine), inhibit Cdks, induce a G2 arrest and prevent entry into mitosis” (Burgess et al 2014). Furthermore, we recently showed that partial inhibition of Cdk1 can dramatically disrupt to mitosis. This caused increase cancer cell death… but also increased the rate of chromosome mis-segergations. (McCloy et al 2014). These mitotic errors can drive chromosome instability (CIN), which inturn can lead to the evolution of more aggressive, invasive tumours. Understanding the genetic background of each individual cancer will be key to determining why some cancer cells die and others thrive when given antioxidants. 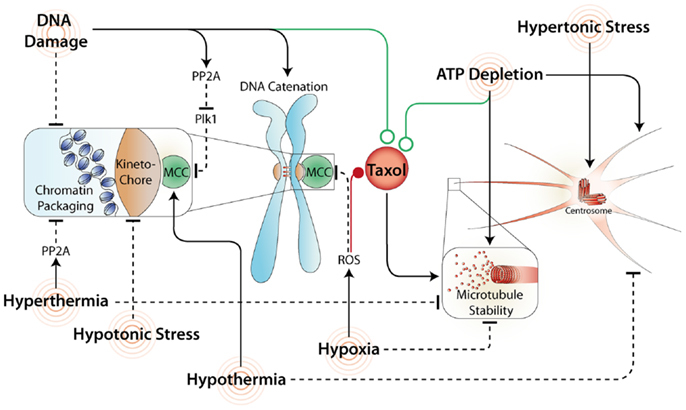 If you would like to know more on how common stresses such as oxidation can disrupt mitosis, you can read our recent review Stressing Mitosis to Death. Until then, if you have cancer and are thinking of taking antioxidants, make sure you consult your oncologist as they can significantly affect the efficacy of some chemotherapeutics, and hence maybe doing more harm than good. This entry was posted in News and tagged anti-oxidants, antioxidants, Cancer, Cdk, cell division, chemotherapeutics, chromosome instability, Fisetin, glutathione, Kinghorn Cancer Center, metaphase, Mitosis, Resveratrol. Reblogged this on Science Tech Blog.